Seeing we had really nice weather for this time of the year, I got a bit lazy and ventured out for a long lunch instead of taking pictures at home. 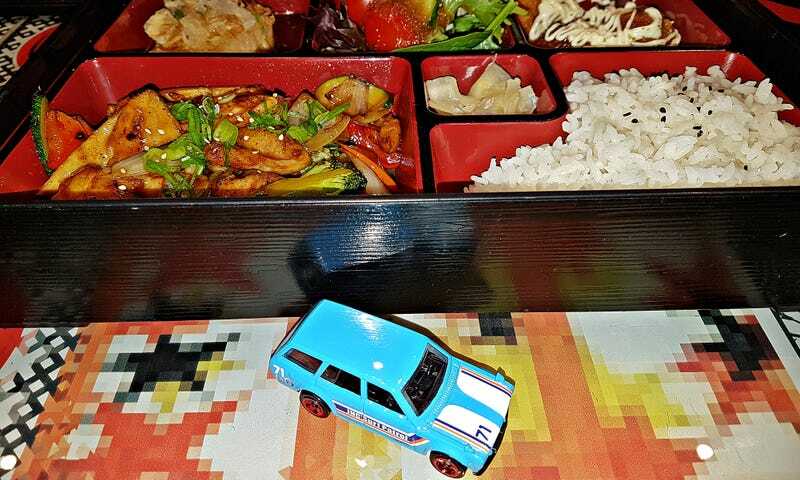 As luck would have it, I stumbled across the new HWs Datsun Wagon before settling down for a bento box. Nice color, though I’m not convinced it needed red wheels. That’s all for today - I hope I’ll be a little less lazy for next week!